Information resource for the HBO hit series True Blood and its cast and crew. Anna Paquin to share her voice to Disney*Pixar’s upcoming movie THE GOOD DINOSAUR. In today’s announcement of its roster of voice talent they listed Anna as the voice of “T-Rex Nash. The film is scheduled to be released for Thanksgiving, November 25, 2015. THE GOOD DINOSAUR asks the question: What if the asteroid that forever changed life on Earth missed the planet completely and giant dinosaurs never became extinct? 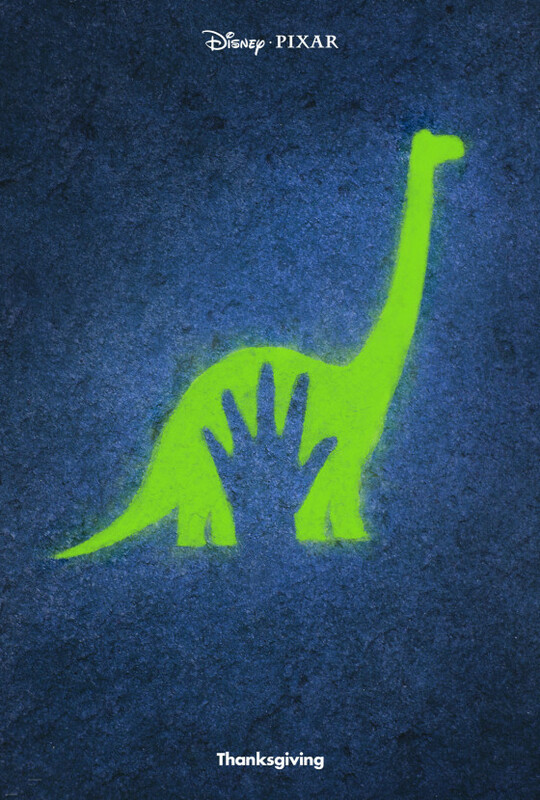 Pixar Animation Studios takes you on an epic journey into the world of dinosaurs where an Apatosaurus named Arlo makes an unlikely human friend. While traveling through a harsh and mysterious landscape, Arlo learns the power of confronting his fears and discovers what he is truly capable of. RAYMOND OCHOA (NBC’s “The Night Shift,” TNT’s “Rizzoli & Isles,” “Disney’s A Christmas Carol”) provides the voice of an Apatosaurus named Arlo. JEFFREY WRIGHT (“The Hunger Games: Mockingjay” – parts I & II, HBO’s “Boardwalk Empire”) was tapped as the voice of Poppa, Arlo’s father. STEVE ZAHN (“Captain Fantastic,” “Ridiculous Six,” “Rescue Dawn,” “Mad Dogs”) provides the voice of a pterodactyl named Thunderclap. AJ BUCKLEY (TNT’s “Murder in the First,” FX’s “Justified”) voices a T-Rex called Nash. ANNA PAQUIN (HBO’s “True Blood”) is the voice of T-Rex Ramsey. SAM ELLIOTT (FX’s “Justified,” “I’ll See You In My Dreams,” “Grandma”) was called on as the voice of a tough T-Rex named Butch. FRANCES MCDORMAND (HBO’s “Olive Kitteridge,” “Fargo”) was tapped as the voice of Momma, Arlo’s mother. MARCUS SCRIBNER (ABC’s “black•ish”) voices Arlo’s brother Buck. JACK BRIGHT (“Monsters University”) provides the voice of Arlo’s unlikely human friend, Spot. Lynnpd has an avid interest in the entertainment industry from classic movies to all things True Blood. With a background in art, she enjoys creating in Photoshop, running web sites and finds the internet an exciting place to be. Lynn lives in the LA area and attends as many Hollywood related events as she can. She has covered events for the both websites in the LA area; read all about it at http://lynnpdexclusives.com. Sounds like a delightful Pixar film. Congratulations to Anna. Congratulations Anna. Sounds like a dream job and a movie the twins will be able to see in good time too. I MISS TRUE BLOOD ! THANK YOU TRUE BLOOD FOR SEVEN WONDERFUL YEARS! THE VAULT IS GOING TO GROUND!